That's a stunning looking bat Rob, absolutely gorgeous. The grains are top notch, the shape is lovely and those stickers are perfect. I've never liked the funky back stickers GN put on for each model, always think the chequered bars and red stripes look so classy though. What's the max spine sanctioned by MCC laws? 65 mm? 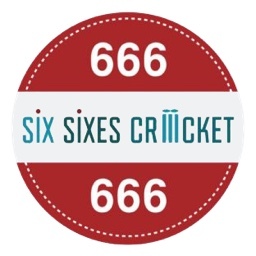 "Bat edges will have a maximum allowance of 40mm and bat depths must not exceed 67mm (60mm plus an allowance of 7mm for a possible curve on the face of the bat) ..."
Looks mint @Six Sixes Cricket , you're a lucky man. Don't suppose you managed to sneak that cleft with the pressing crack out? Yes, I did mean 'illegal' rather than illegal. ^ Well, I am not concerned about that. Issue is that bat makers had had stopped making any bats thicker than the MCC sanctioned max thickness. So, it's pretty nice that there is atleast ONE bat maker in the world who is willing to make a higher spine bat than MCC regulations. We got pictures for it too. What's the price for this bat? Perhaps ironically, the very same batmaker is a strong believer that the big (volume) bat = big power idea is a myth. I joked about it with him at the Oval Test. Superb shape on this bat and looks a really good option for those wanting a custom made bat. My team mate has two 700 quid GN scoops and whilst that's not something I would buy they are fantastic. GN seem to have got back in the last couple of years some really meaty and good looking bats. That's great to see as some of us grew up with the brand. cheers James. Yes I wanted to keep it as minimalistic as possible. Page created in 0.816 seconds with 43 queries.